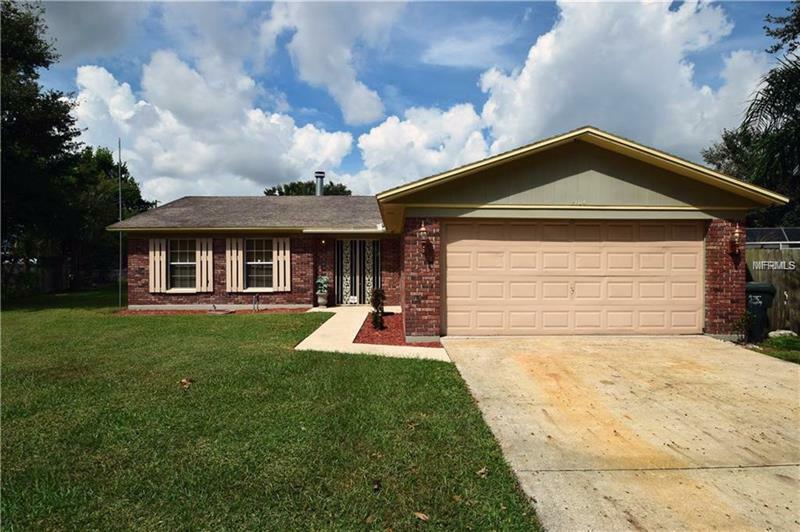 Well maintained 4 bedroom, 2 bathroom, 2 Car Garage home conveniently located close to US98 and south of S. Crystal Lake Drive in Lakeland close to shopping, restaurants and schools. The Polk Parkway (CR 570) is within 2 minutes for an easy commute to Orlando and Tampa. This is an established, family friendly neighborhood. You will LOVE the oversize lot at 0.29 (almost 1/3) acres and ALL FENCED IN. Your new kitchen has SOLID WOOD CABINETRY and the laundry room is off the kitchen. The living room is very spacious measuring appx. 23' x 13' and the FORMAL DINING can comfortably accommodate a large crowd at 16' x 15.' Most of the home as elegant tile flooring for easy care and the bedrooms have carpeting. Your new home also has an elegant WOOD BURNING FIRE PLACE, and an OVERSIZE SHED. BRING YOUR BOAT, your TRAILER and even your RV. There is NO HOA Here! There is plenty of space in the oversized yard. And, it gets better! A NEW AC SYSTEM was just installed in 2017. There is also a screened in back porch where you can relax while you are grilling for your family and friends. Please call today to schedule a private showing before it is gone!